Does anyone know a source of OO9 British outline small diesel/petrol locos? Either R-T-R (preferred) or simple kits. Question is from a modelling colleague in Canada who doesn't have Internet access. He is aware of the Nigel Lawton Simplex kit. This is a 009 model Lister from RT Models. It still needs its bonnet and seat etc to be added. 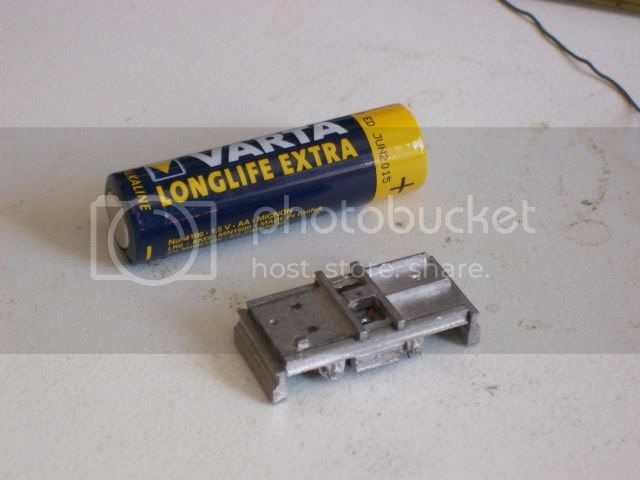 Very small white metal kit ( but power bogie should NOT be run on more than 4.5 volts ). He has 2 other locos .... 0-6-0's with a much larger bodies and 12 volt motors. He also has a range of wagons. He also produces some 7mm (0 scale) stuff. Bearing in mind that the person referred to does not have internet access, then I think making contact with Parkside Dundas would be a sensible way forward, as they stock a great variety of most of what is currently available in the world of 009. They have a very comprehensive catalogue and both their helpful response and mail order service are renowned. Andrew Hastie, one of the two proprietors of the firm, has been a member of the 009 Society since its foundation and is very knowledgeable about the hobby.